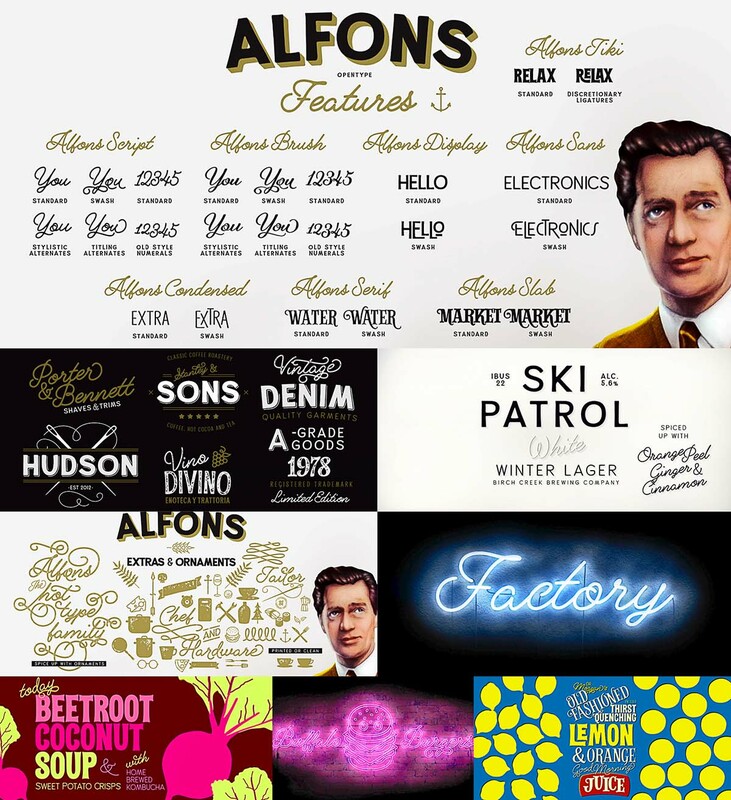 Introducing Alfons- collection of 38 display fonts with a pack of ornaments and extras. For personal use. Tags: brush, hand made, neon, retro, sans serif, script, slab serif.